If you run a business you may be considering using the services of a corporate attorney. But what services does a corporate lawyer actually offer? We take a look with this in-depth guide in the world of corporate law. Have you seen the TV shows that depict the world of law as an exciting and exhilarating environment? On our TV screens, we get to see how high-flying lawyers overcome the odds to win the court case. But shows such as the legal drama, Suits, present a different picture than the reality of being a corporate attorney. In the real world, it's not quite as dramatic. And yet, the true answer to what do corporate lawyers do is no less important and vital. Are you considering hiring the services of a corporate attorney for your business? Before you do this, it's important to know what a corporate lawyer actually does. That's why we've put together this guide to help you learn about the key services provided by corporate lawyers. Keep reading to find out more! Many people confuse litigators with corporate law. This is totally understandable. People often see TV lawyers negotiating deals with clients one moment and fighting it out in court the next. But the truth is that while corporate lawyers and litigators both work with corporations, what they actually do is quite different. The simple explanation is that corporate lawyers help create businesses. Whereas, litigators get involved when business goes wrong. On the one hand, corporate lawyers create transactional arrangements and deals with and between corporations. On the other hand, litigators are called on when the transactional agreements are broken and something goes wrong. Litigators try to resolve the disputes between corporations through the judicial system, mediation or arbitration. Corporate lawyers want to avoid getting litigators involved if it's possible. That's why they work to ensure that each party involved in the agreement is made aware of their respective responsibilities and rights. If you think you're searching for a litigation lawyer rather than a corporate lawyer, check out our blog on the top 10 reasons to hire a civil litigation lawyer. Essentially, a corporate lawyer provides advice to corporations about their legal responsibilities, obligations, and rights. Many corporate lawyers are generalists. 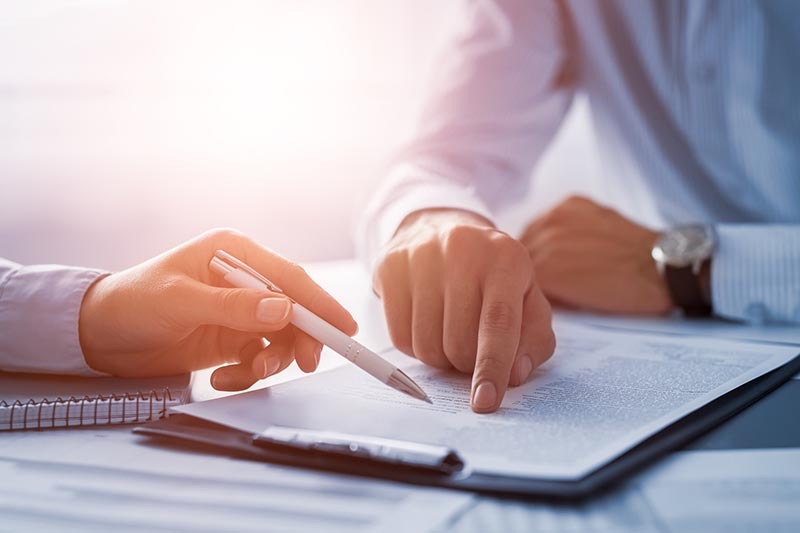 Therefore, it's often necessary for corporate lawyers to consult with a range of experts in different legal fields, including tax and real estate. When it comes to the day-to-day responsibilities of corporate lawyers, it really depends on the kind of law firm and the level of seniority of the attorney. A lot of the tasks of corporate lawyers revolves around making sure each party is clear on the legal agreements and what it means for them. It's difficult to categorize the services of corporate lawyers because each law firms structures the services they provide in slightly different ways. However, we've put together a general understanding of the separate departments and services providing by most corporate law firms. Before what a corporate lawyer does can be explained, it's important that you understand exactly what a corporation is. Of course, a corporation is often referred to as a business or company too. But a corporation is above all a "legal entity". "An organization formed with state governmental approval to act as an artificial person to carry on business (or other activities), which can sue or be sued, and (unless it is non-profit) can issue shares of stock to raise funds with which to start a business or increase its capital". The incorporation relates to the laws of the particular state in which the corporation operates. Each state has laws regarding the formation, operation, and governance of corporations. As well as the dissolution of corporations. Why is a Corporation a Legal Person? By making a corporation a "legal person" it becomes separate from its owners. This avoids any situation in which a shareholder is liable for the activities of the corporation. The corporation as a legal person also has eternal life. If the owner(s) of a corporation passes away, the corporation lives on. Where do Corporate Lawyers Come in? The formation of a corporation is essentially a legal thing. That's why you need a corporate lawyer to get it done. If the owners of an enterprise want to become incorporated. The corporate lawyer will be hired to draft the what is called, "articles of incorporation". This document includes the details of how the business will be managed and operate. The majority of states require corporations to include bylaws. The bylaws are introduced by the corporation to control the activities of the officers. The corporate lawyers provide advice to businesses on which kind of legal entity would be most appropriate for their enterprise. But the job of a corporate lawyer is not exclusively with the formation of the corporation. The variety of types of law that a corporate lawyer has to deal with means that it's often necessary to consult other legal experts. For example, a corporation might call on an attorney to research an environmental legal challenge. The corporate lawyer will commonly request advice from an environmental legal specialist. Mergers and acquisitions (M&A) is a fancy word for one or more legal corporate entities becoming a single legal entity. As a corporate lawyer, this is your bread and butter kind of work. It's defined as "a combination of two companies where one corporation is completely absorbed by another corporation". By acquiring or merging with another company, a corporation could grow or downsize. The corporation becomes the owner of the other company's assets (such as property), equity rights and stock. There are a number of motivations for M&A. For example, if a smaller competitor is growing its market share of the same industry. This is a threat to your corporation's business. By acquiring the company, the challenge to your business is neutralized. Corporate lawyers are brought in to examine the company's assets and liabilities. The demands of an M&A are normally so substantial that it requires a team of corporate lawyers working together. Some corporate lawyers specialize in M&A practice. This is referred to by lawyers as "due diligence". After this investigation is complete, the corporate lawyers return to the client with issues that need to be raised. What are the consequences of the M&A for employees of the acquired company? Who is responsible for the current debts of the acquired company? Once various agreements are made between each party, the corporate lawyers have to draft the M&A agreement. This involves a process of ironing out the details of the terms and conditions for each party. As well as, the rights, responsibilities, and liabilities of the parties. The next key service that corporate lawyers generally provide is related to what's called venture capital. Even though you've almost certainly heard people talk about venture capital. You might not know exactly what venture capital is. Venture capital is the financing provided for start-ups in the early stages of development. Investors choose start-ups that they believe have a high potential for growth. Investors in venture capital are usually looking out for emerging technology and innovative ideas. Corporate lawyers work with start-ups to help them to secure public and private financing. Lawyers provide legal advice to emerging companies on formation and organization. Many corporate lawyers find that venture capital is one of the perks of the job. This is because every party involved in the process has the same objective. Whereas, in many other aspects of corporate law, there are two or more parties at odds with each other. Projects like these involve a wide number of players and a lot of money. That's why it requires corporate lawyers with specialized expertise in project finance. A project such as a road requires the cooperation of numerous different corporations and entities. However, for the duration of the project, the parties come together to form a single entity. This can take the form of a corporation or another kind of legal entity. The challenges of project finance work mean that corporate lawyers have to research across a number of fields and consult experts. While the previous 4 examples of key services provided by corporate lawyers, security law is less commonly the territory of corporate lawyers. However, corporate lawyers can have specialist knowledge of security law. This is nothing to do with national security. Security law is related to the ownership of stocks and bonds that are traded on the market. A stock and bond are referred to as a "security". The security laws are underpinned by the Federal government. There are a number of acts that every corporate lawyer needs to understand. For example the Securities Act of 1933. This requires any corporation that sells stocks or bonds to members of the public to be officially registered with the United States government. Under this law, there are also specific obligations to disclose information to shareholders. For example, if the corporation is a public company that is traded on the stock exchange, the US government requires reports to be submitted to both the Securities and Exchange Commission and shareholders. Such reports are legal documents. And therefore, they are drafted by corporate lawyers. This can take either annually or quarterly. However, if there is a significant event that affects the price of the company's stock, the corporation might be required to disclose further information to both the stakeholders and the US government. Now you know the key services that a corporate attorney can provide, it's time to get your business a lawyer you can trust. By hiring a corporate lawyer now, you can build up a strong relationship before you require legal advice. Corporate law is a really complex business. It's really important to have an experienced and knowledgeable lawyer on your side. Our lawyers have years of experience in corporate law for both small and medium-size businesses. If you need a corporate lawyer, contact the team at Verhaeghe Law Office in Edmonton. This entry was posted in corporate attorney and tagged best lawyers in edmonton, business lawyer Edmonton, law office edmonton by verhaeghelaw. Bookmark the permalink.